ALL the attention on the red carpet at last night’s 30th anniversary of the Goya Awards centered not on who wore the most the plunging neckline or revealed the most leg. 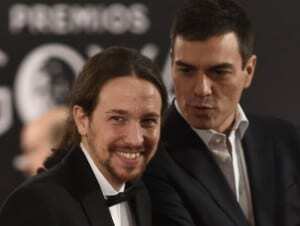 Instead Podemos leader Pablo Iglesias shocked the audience by wearing a tuxedo and tie for the first time in public. 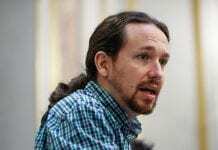 Normally he dresses casually and he famously didn’t even make an effort when he recently met King Felipe VI. 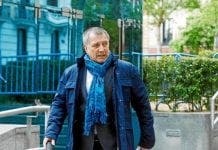 Cesc Gay’s Truman was the big winner at the 30th Goya Awards ceremony taking five statues of the six it was nominated for, including film and director as the Spanish Film Academy sprinkled prizes across the top contenders. The lad scrubs up well when he wants to. He is just choosy who and what he respects enough to do so. He obviously doesn’t include the Royals in that august company. Sell out, pure and simple.